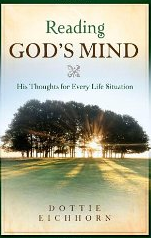 The book consists of 72 different devotions and a total of 231 pages of reading. Each devotion is followed by a number of Bible verses related to that topic – they have been taken from different translations of the Bible. Some of these verses include small notes for added information. Review: The devotion is usually very brief – some of them very simple, some of them more insightful. More than a couple of them point out the reality of how innocently (or ignorantly) we have been caught in the conniving ways of the “secular” world and what we can do to straighten ourselves. Just so you understand what I mean by that, she talks about how the word “affair” is so commonly being used today, instead of the word “adultery”. She says that the original meaning of the word “affair” really means a “relationship between two people” and “adultery” is a much harsher word. But slowly, to remove the harshness of the term itself, we have changed the meaning of “affair” and have started using it in place of “adultery”. This may not sound like much – but it is a form of deception!!! And it spoke to me about how easily we can fall prey to it and forget the seriousness of sin. Even though I normally like to read the Bible in bigger chunks, I have to acknowledge that when one is in distress, a single verse can leap out and provide comfort. Since the verses that she has quoted are all related to the topic of the day, I think the benefit is that we can memorize these verses and the topic they are related to, and they will come in useful when we are / someone is in need.